So my swoon this week is kind of unconventional. It is not my normal sweet and aww kind of moment, but I love it all the same. Note, there is some foul language involved. "I know we're f-cked up, all right? I'm impulsive and hot-tempered, and you get under my skin like no one else. You act like you hate me one minute, and then you need me the next. I never get anything right, and I don't deserve you... but I f-cking love you, Abby. I love you more than I've loved anyone or anything ever. When you're around, I don't need booze or money or the fighting or the one-night stands... all I need is you. You're all I think about. You're all I dream about. You're all I want." I seriously loved this book and the romance, while unconventional, was still incredibly sweet in it's own way. Great swoon, I like a bit of tough love!! Wowza that was awesome. I need to add this book to my to-read list. I am now a new follower of your site. Nice swoon. That Travis is intense! Thanks for sharing! Oh I love that!!! Great swoon. 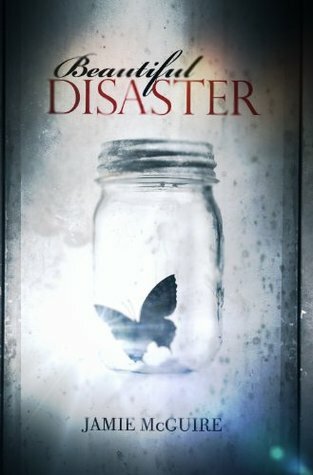 Beautiful Disaster is such a great book! And you picked the perfect swoon!! Now I wanna re-read it!